Just a one hour flight transports you from the bustling metropolis of Saigon to the much more peaceful coastal city of Hoi An. With a population of only one ninetieth of Saigon, and much more ‘old’ history, it is an almost opposite of our base for the first few days. 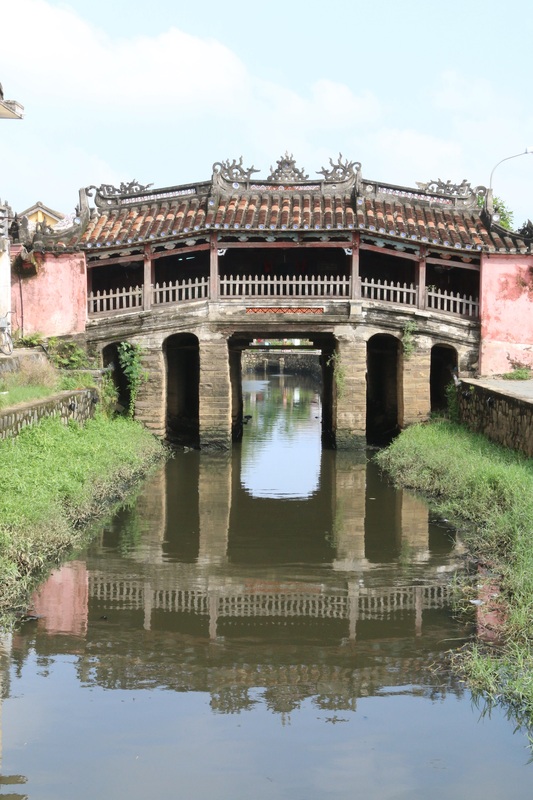 Indeed, Hoi An means ‘peaceful meeting place’ and it certainly lives up to this. A 1999 listed UNESCO World Heritage site, the old town is divided into ‘Japanese’ and ‘Chinese’ influenced halves; though the Dutch, Portuguese and Indians have also settled here. The origins of the original harbour town date back to the first century. Buildings survive dating back three hundred years. As one would expect, temples abound. One such temple has a unique characteristic in that it is attached to the covered Japanese Bridge or Chua Cau. The food, yes, the food. Vietnam is blessed with some wonderful food. From steamed vegetables, spring rolls both fried and not, meats and seafood of every description. Removing myself from the group’s well prepared banquets, I explored more local dining opportunities. In the Chinese quarter, I sampled Cao Lau, a local speciality: a rich broth containing beef, pork, chicken, prawns, noodles and extra chilli paste to liking. I followed this by what I can only describe as a thick popadom based typxe pizza; covered with onions and shrimp. Leaving the comfort of a comparatively upmarket establishment (£6 or $US10 for two courses with beer), I wandered along to the actual market where the main dish of boiled chicken and rice, with added noodles, vegetables and more chilli paste were served up in a ‘cafe’ – only locals or Vietnamese visitors need apply. The next day saw the journey along one of the finest coastal roads in the world, the Hai Van Pass. The view from the eastern coast across the azure of the South East Asia Sea is renown by all those who have travelled this…in fine weather. However, today was not such a day! The greyness of the sky and heaviness of rain removed much of this visual spectacle, though stunning as it was. 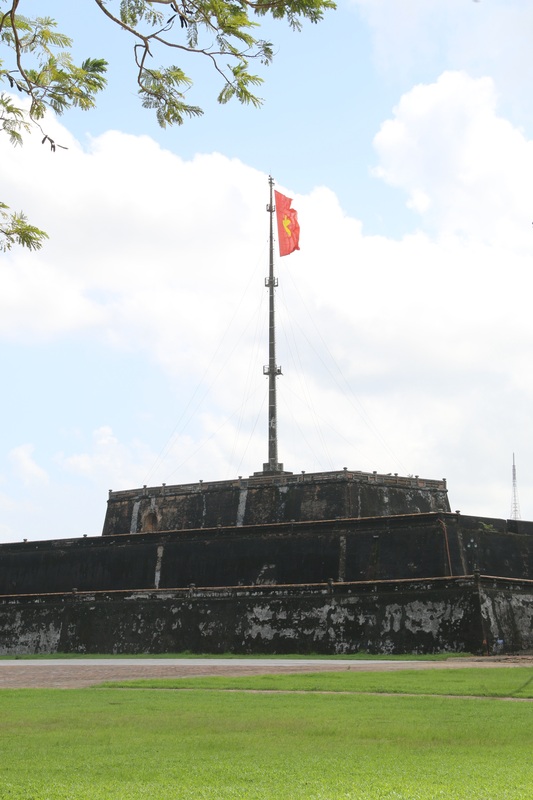 The terminus of the journey was the old capital city of Hue. Used by the ruling Nugyen Dynasty from 1802 to 1945; when the revolution led by Ho Chi Minh took place, the parliament returned to Hanoi. It is a vibrant city sitting on the Perfumed River by the coast. The World Heritage Site of the Citadel was built in 1805. A amalgam of Chinese symmetry and French architecture, this unique compound combines royal palaces and temples, with military bastion and provides an attractive look back in time. Home of the Forbidden Purple City, this site alone deserves more than a cursory visit. The Thein Mu Pagoda overlooks the river. The pagoda was made famous by one of its monks; Thich Quang Duc, who in 1963 committed self-immolation in response to Government oppression. 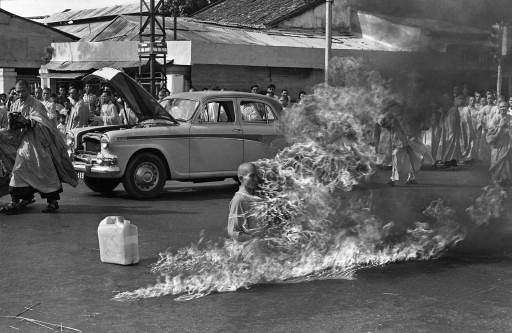 The photograph of this act of self-sacrifice became one of the decade’s most enduring images. A cruise along the Perfumed River is a relaxing way of seeing part of the city whilst avoiding the busiest of the centre itself. 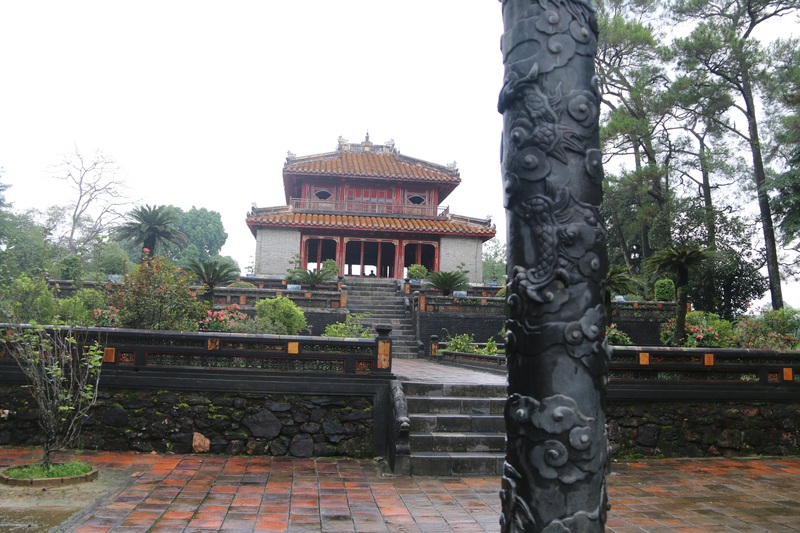 A visit out of town to the Royal Tomb of Minh Mang is also worth a visit. Constructed by ten thousand workers, the complex is surrounded by forty monuments and pools. Back in Hue during the early hours, a lone tourist sat by the roadside on a child’s plastic patio chair amongst locals and ate pork and noodles for breakfast. It was real Vietnam alfresco dining experience that I will treasure.